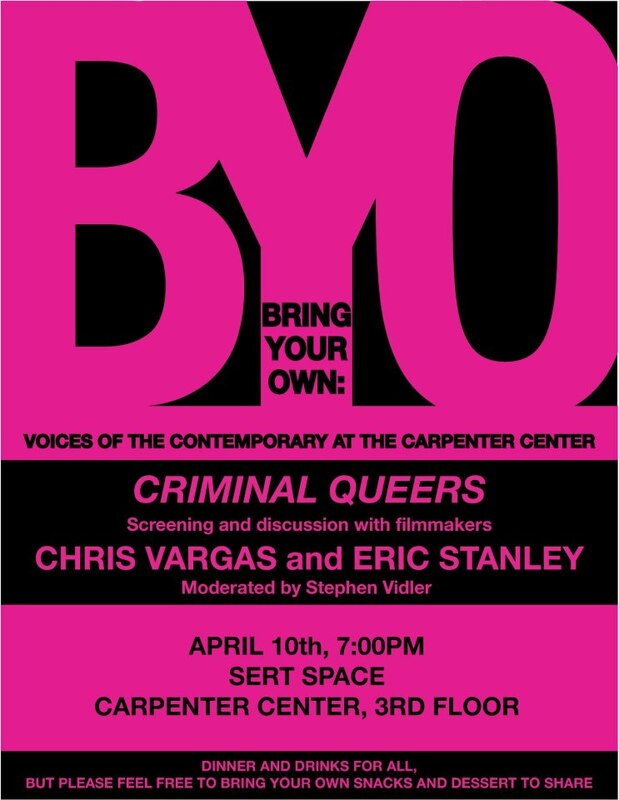 We are excited to be screening Criminal Queers in Cambridge, MA on April 25, 2013 7pm at BYO: Criminal Queers at The Carpenter Center for the Visual Arts. The event is free and open to everyone. For more information you can go here there is also a fb event page here. We are also finalizing plans to screen in West Chester, PA on April 27, 2013 more info on that soon.